I heard you like the good old retro Polaroid cameras. You may think that the best instant polaroid cameras are now buried deep under the dusty pages of history, but wait till I say something. NO, THEY STILL EXIST and probably they're BETTER THAN EVER. 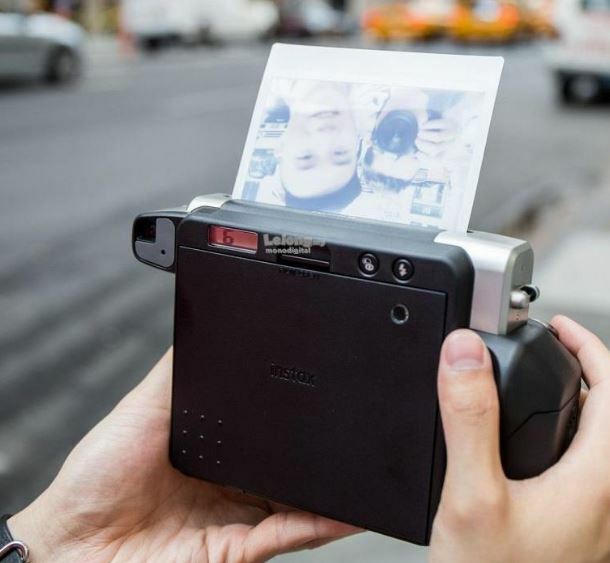 With the technology evolving we're now able to re-live the good old fashioned instant print Polaroid cameras experience and it only keeps getting better!! So, LET'S GO!! 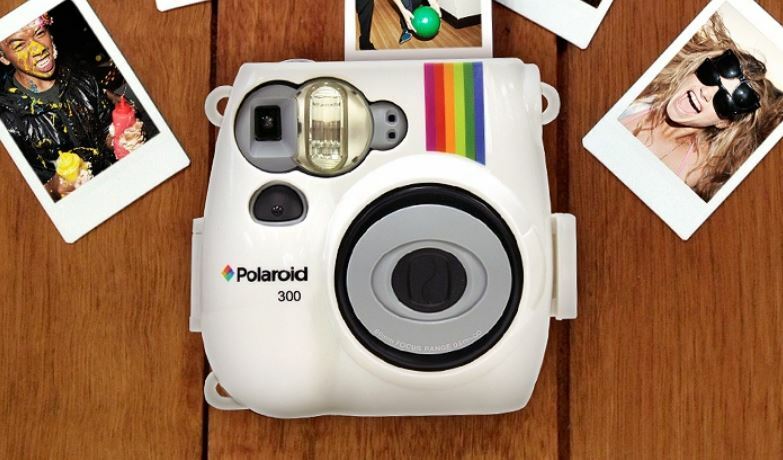 Here are the BEST INSTANT POLAROID CAMERAS that you can find around!! Click on their names to be navigated to their section in this article!! Here is one f my personal favourites!! If I have to shortly describe Polaroid SnapTouch it would be the ALL STAR of new age digital instant cameras. It's like the signature new age Polaroid model which is the "brand face" of Polaroid and it's like all the Polaroid history is bundled up and packaged into one single little device which presents the modernisation of the brand and it's a NO BRAINER for anyone who wants to get a decent instant digital camera!! The BEST THING about it is that it comes with a LCD Touch Screen at the rear side which allows you to use it like a digital camera with screen unlike other instant cameras!!!! This feature is not something that you will find on other instant digital cameras and it's definetely a game changer with various filters and shooting modes that it allows you to use!! 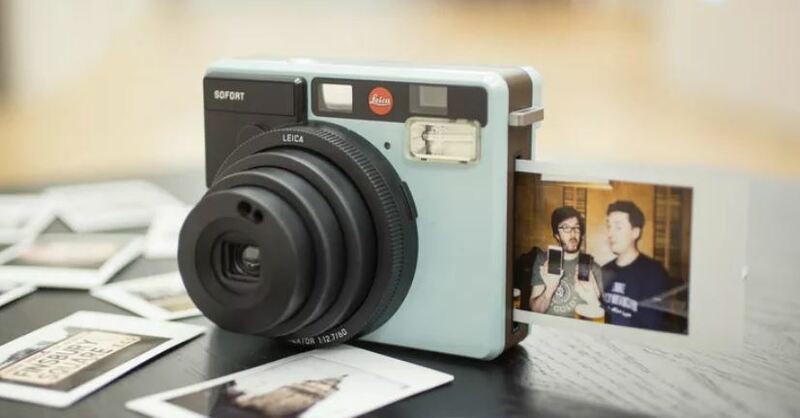 Fujifilm comes to the aid of retro lovers with a sweet cute concept instant digital camera. 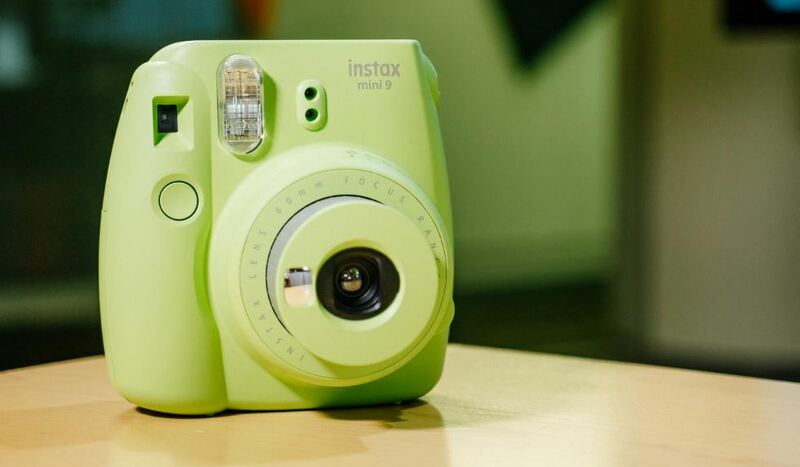 Here's the Instax Mini 9!! It's one of the simplest instant digital cameras to use and it's designed for users who seek out simplicity and comfortable use with fun purposes in mind. And I'll admit it in the beginning, it's not the instant digital rinting camera that has the most features. 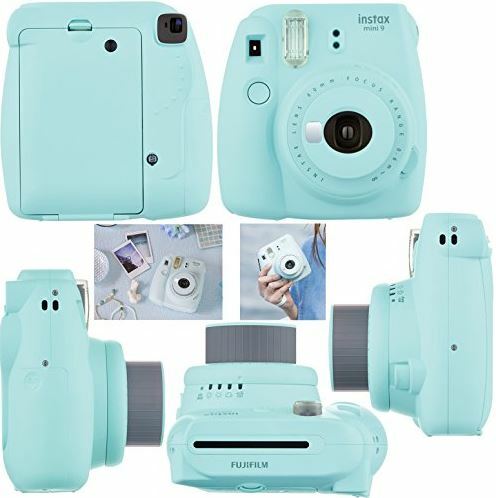 It has less features compared to higher end models like Fujifilm Instax Mini 90, which we will talk about in a minute, but it's a quality and well working instant print camera and it definetely gets the job done so well!! Also it's cheaper than many other instant print cameras!! 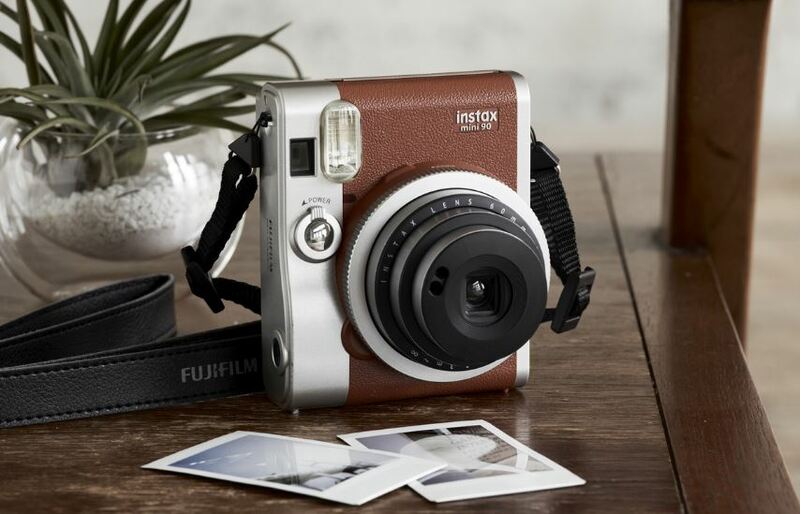 If you want a cute, compact and easy to use Polaroid style camera then Fujifilm Instax Mini 9 is the right choice for you!!!! Here is a general promotional video of Instax Mini 9 - you can see which colors of it you can buy. And I will also include an instructional "How To Use" video below!! Lens: 2 components, 2 elements, f=60 mm, 1:12.7. Viewfinder: Real image finder, 0.37x with target spot. And this is how you use the camera!! It's so simple!! Here's the button to click if you want to get one for yourself and you can find more detailed information in the page that you will be navigated to. Want a portable and quality instant digtal camera to make guest books or take photos with your friends that will go down to history of your unforgettable friendships?? Then Polaroid Pic 300 is one of the best variants that you can get!! It's actually the same thing with Fujifilm Instax. Not exactly, but they share the same concept. Portable, , easy to use, not a professinal camera but great for general use of Polaroid instant digital prints. What Instax Mini 9 is for Fujifilm, PIC 300 is the same thing for Polaroid. Standard Mini instant prints aren't large enough for you?? Can't you fit all your friends and family into a mini film shot?? Then Fujifilm Instax Wide 300 is your way to go!!!! Fujifilm Instax Wide 300 prints on a larger film which is 2 time wider when we compare. Instax mini films print around 86 x 54 mm dimensions while Fujifilm Instax Wide 300 print 86 x 108 mm!! It is great for taking instant prints in parties and gatherings where people come in large numbers and have a hard time to fit into a picture. Also it comes with many great additional features that you won't expect from an instant print camera such as tripod extension and focal zoom dial. It's nothing that special, it is great but you shouldn't be expecting the world or the other alien-technology features that other high end professional digital cameras offer. It's great for taking cool cute instant prints which are larger than conventional instant print dimensions and this is EXACTLY what it does. Simple and extremely functional!! Shutter Release: Programmed electronic shutter release, 1/64 sec - 1/200 sec. It won't be false to say that most instant digital cameras are built like a toy or at least don't give the looks of a professional camera. NOT HIS ONE!! 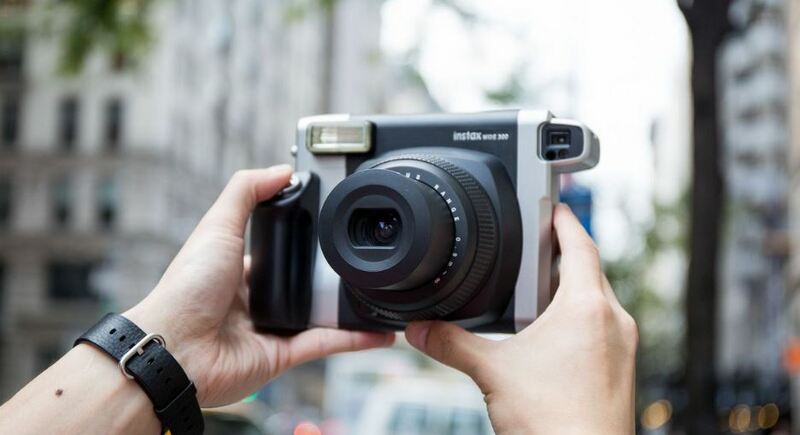 Fujifilm Instax Mini 90 is one of those cameras that not only function well, but also gives you that retro camera looks that most people are after. It's one of my personal favourites when it comes to instant digital cameras. It's not only a simple camera but it also comes with additional features that will catch the attention of many users such as tripod extension screw,front selfie mirror, retractable 60mm lens, various shooting modes and many more that I will explain in the specifications!! I don't even have to mention the epic Neo ClassicStyle exterior looks with the good old leather coating!! Just can't get any more stylish.. 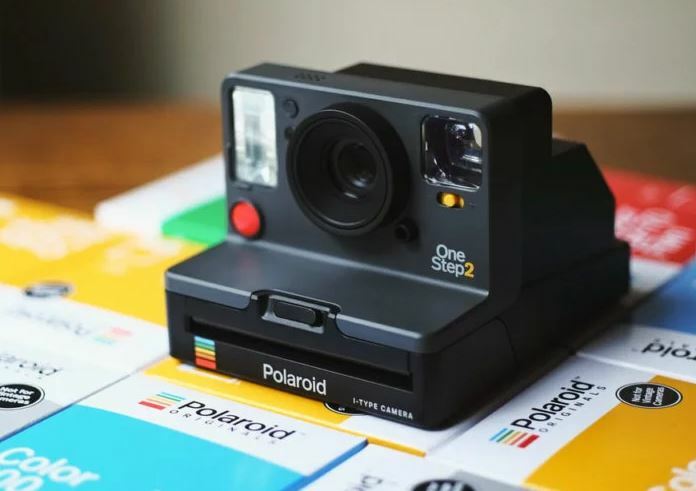 It's definetely worth getting if you want to have not only an instant polaroid camera but also a badass retro camera to reflect your lifestyle to others. If you want a kickass retro camera with amazing quality and extended features, then you better get one for yourself!!!! Some of you may haven't heard of Leica Cameras but they're well known for the photography addicts. Leica is known with their high quality and high end products which combine design and quality producing amazing results. It's also pretty compact to carry around and it makes this camera a great variant for carrying around during trips. 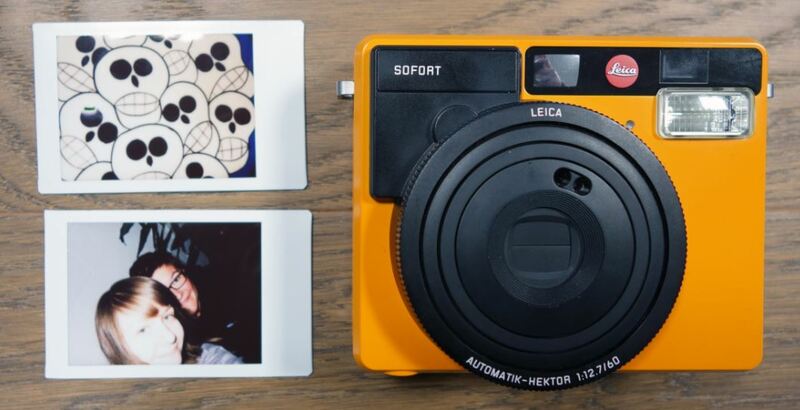 One of the highest end products in this list is no doubt the Leica Sofort Instant Camera. But don't be fooled, it may be small but it has many features that makes this camera stand out and not be a part of the set of simple standard instant cameras. Shooting/Focusing range: 3 focus steps, 0.3 m to inf. This one is a gem!! I'm not promising that it's the best instant camera that has ever been made and it's not the one that has one of the most features, but it's definetely one of the most stylish retro cameras that you can get. 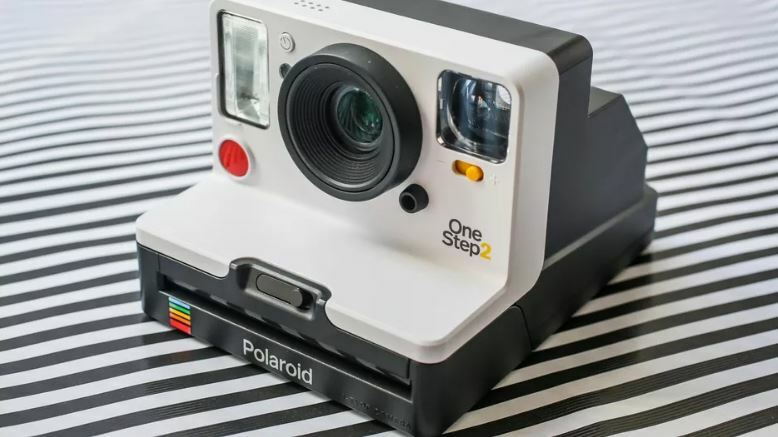 There are actualy several cameras of Polaroid that I've found interesting and design style is similar to 9003 One Step, but most of them are out of stock and they're harder to get. I included in the list cameras hich have the highest scores, good real user comments and ease of getting. You can easily get this baby from Amazon, just like other cameras that we've talked about in this article. Probably one of the most retro looking cameras and the signature retro looks of the old school Polaroid cameras is now back with a modern update and it's available to anyone!! The only thing that you should consider is that it takes some time to arrive, probably 1 to 2 months. If you're ok to wait it to arrive then you may prepare for a great fun!! It doesn't have many badass features but it's the design and good old Polaroid concept that sells itself. Works with ALL i-Type and 60 series Polaroid films!! As I said before, don't expect extensive features out of it. It's a simple and fun to use signature Polaroid instant digital camera. It's not bad, it's great especially if you want the good old Polaroid retro experience, it works well and it's so easy to use that even a child can use it. But if you want more out of a digital instant print camera, then I suggest you to get a Fujifilm Instax Mini 90 or Wide 300 or Polaroid Snap Touch or Leica Sofort. They offer much more features for the price and probably will arrive earlier. But if you want the good old Polaroid looks and experience, then you have every right to get the Polaroid One Step 2 camera. Now you know which ones are the best and worth getting!! Best instant Polaroid Cameras that you can get for your money are presented above and you definetely can easily make a decision now. Remember, there are other cameras too but the ones that are included in this list are existing in this list because they are either rated the highest, have many positive real user comments and are easier to get than most of the instant digital cameras out there!! So, I hope you liked the best instant Polaroid Cameras review and if you liked it, please don't forget to SHARE IT to spread the word to others 🙂 If you have anything to ask or any comments to state, write it down the comments section below!! And don't forget to LIKE AND FOLLOW our social media pages to be reminded of newest stuff about Geekery!!!! I hope you all had fun!! And don't forget to check out our other content to find some other AWESOME stuff!!!! Wow, I didn’t realize there were that many types of instant polaroid cameras! Thank you so much for all the info. 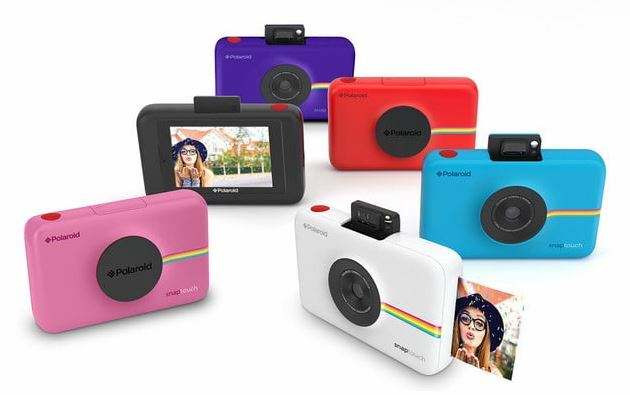 The technology that the Polaroid SnapTouch has looks amazing. Will keep in mind for possible gifts in the future. Out of curiosity, do you think the polaroid comeback is here to stay? Or do you think it will be considered just another trend? I thank you for your interest. Definetely there are many options that you can choose from, but the official Polaroid with wide digital screen is my favourite. And I think that there will always be a “Retro Addict” crowd, that’s why I assume that the general concept of Polaroid cameras will always be here to stay. I love your review of the different Polaroid cameras. I am new to the photography business and I would personally like to buy a good camera that works well in all weather. What type of camera would you recommend for different conditions? Also for the beach, thanks, man. Keep making content. Tank you for the nice words, I’m glad that you liked the review 🙂 If you’re going to take shots at different weather conditions (I assume harsh environments included) you better get an action camera like GoPro or a professional photography camera because these Polaroid cameras are for fun only and you shouldn’t be expecting too much professionality ot of them. I gotta say that I am quite impressed with how these cameras in this generation are turning out today, especially with these from Polaroid! The idea of being able to snap a picture and have it instantly print out of the camera in great quality is very convenient for photographers and anyone looking to create long lasting memories. I would say the one that definitely had my attention the most was the first one, the Snap Touch, as you can edit any of your photos right before printing them out. Also, not to mention the simplistic design of it. As for the Fujifilm Instax Mini9, I can see that one being popular with teens nowadays, as it is great for taking selfies! My question is, which of these would you say is your favorite in terms of overall value? Definetely the technology is offering so much eye cand that we couldn’t resist!! And yes, the concept of Polaroid instant prints is the main thing which keeps the insant print and Polaroid culture alive!! This is so cool! I have a barely-working Polaroid land camera from the 70’s, and honestly I don’t use it anymore because the film is SUPER expensive (impossible film), and then half the pack ends up ruined anyway. Love the full sized 300 version! Is there one that you prefer yourself, or are you a fan of the smaller mini cameras? I think it’s time for you to switch to a new age Polaroid camera!! The films are also super easy to find and the price is more than affordable!! I agree that the Polaroid Snaptouch is the best one around. I don’t own one but I have used one before and really liked the no ink feature. I also felt like it was very natural to hold in your hand and use. It didn’t feel bulky or awkward. For me, comfort is a big deal and needs to not be an issue. Yeah, Snap Touch is the easiest and most multifunctional among the best instant Polaroid cameras 🙂 I’m glad that you have been satisfied with it and care to write about it. I’ve been interested in Polaroid cameras for a while now, but haven’t had the chance to look into them. These look like some great options! I definitely thought they were hard to get a hold of, even though they’ve become fashionable. But these are all pretty modern looking! Thanks for the list. I’ll have to keep this in mind. WOW What a cool post and site! I remember using the Polaroid Pic 300 camera as a kid and so you really took me back to those “good” old days! Love the amount of information you have about each camera and I had no idea they were making a come back! I must admit I miss the days of taking shots and the excitement of waiting for the shot to develop. Now it’s all digital and none of my photos ever get printed. Yes, Plaroid cameras are definitely a thing!! Maybe not everyone may be aware of them right now, but they’re definitely awesome and they face no difficulty providing you a badass retro experience! I’m so glad I came across this Polaroid camera review. I didn’t realize they existed any more. My dad had one years ago and I can remember waiting and watching each picture develop before my eyes. I currently use Cannon and Nikon film cameras with all the different lenses and filters. Very fun but there’s something about taking a photo that can be printed on the spot and given to someone to take home. I like it! I take it that the Polaroid Snap Touch is the best bang for my buck? It makes a great gift to get a young person interested in photography. Polaroid camera craze was definitely a thing back then 🙂 But it doesn’t mean that the era of Polaroid instant cameras are over!! Now we can get modernised high tech polaroid cameras that make everything easier for us but they still don’t lack providing the retro experience of Polaroid cameras at all!! Your review is absolutely awesome. I was one of these people who wishes I had a Polaroid camera. When you bust one out, people are a lot more excited. The present and future is digital, but people still love to have a tangible product instantly whenever they want. This would be a great thing to whip out on a date (if it is going well). It would be an instant memory instead of taking selfies that end up getting deleted. I would opt for the Polaroid or Leica, as they seem to be the most portable. The other ones are kind of bulky looking. Wishes come true! No matter in what time we live in, there will always be demand for retro and human interaction. And you’re right about the date 🙂 It would be a great idea to make that moment last till eternity. You did a great review and I must say if I need to pick one I will also pick the Polaroid Snap Touch. 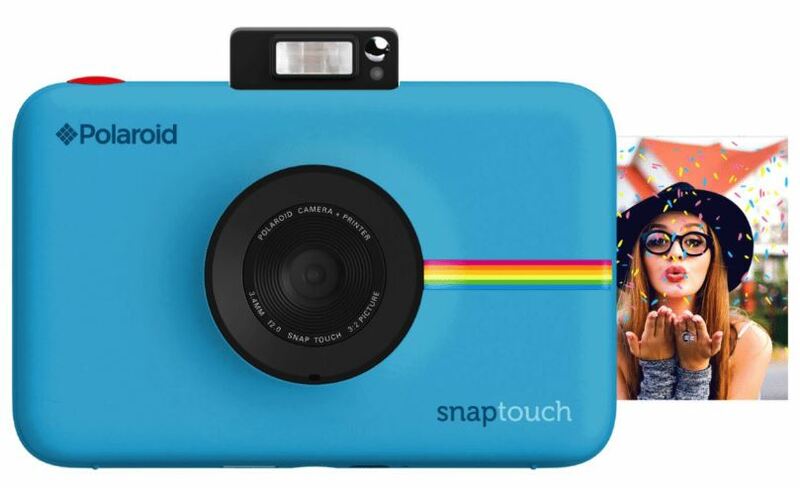 It looks pretty nice and compact and it can make a wide variety of features as taking videos, applies filters, combine photos and many others, which make it a camera to take in mind at the time to think on a present for someone who would love to get one Polaroid camera. Thanks for sharing a great review. Hey Alejandra! 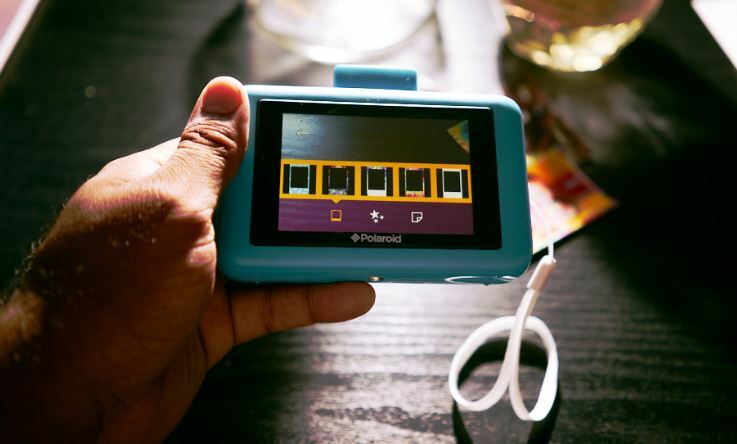 Yes, there are definitely many kickass Polaroid cameras that still exist today, the ones that you’vve read in our article 🙂 Some people may not be aware of them, but they still keep the retro lifestyle going on.